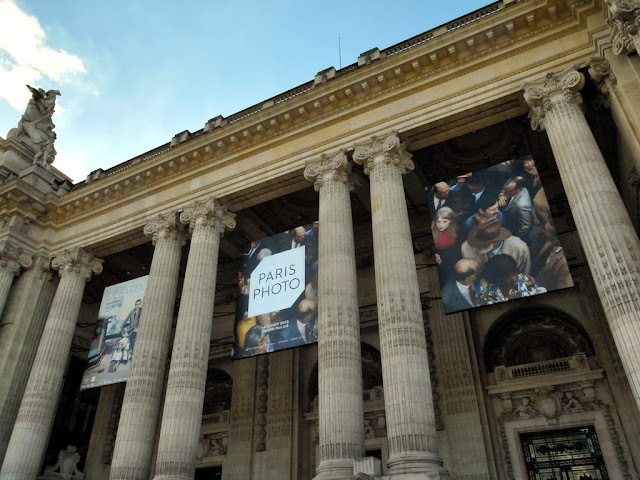 Two weeks ago, in early November, while for many the regular tourist season gradually came to an end, for others the actual high season of Paris had just begun - once more it was time for Paris Photo. 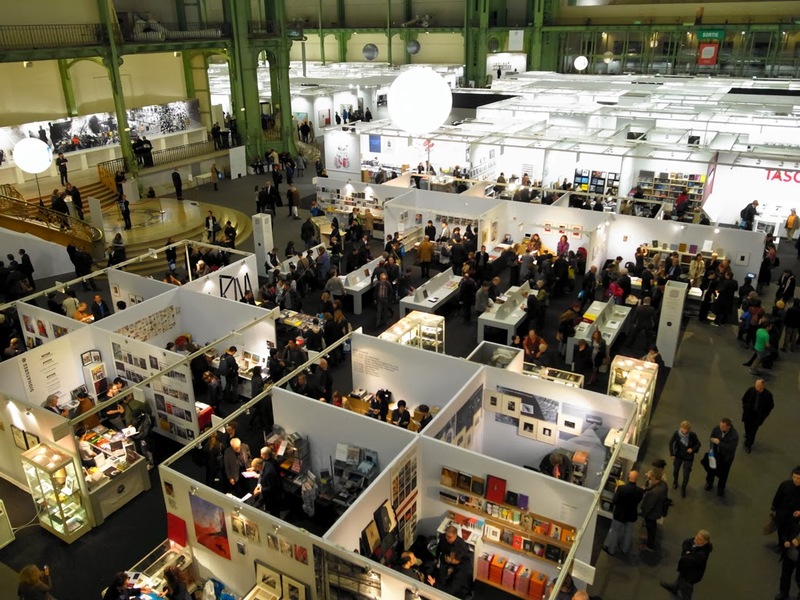 It is worth noting that this year's seventeenth edition, held again in the spacious hall of the historic Grand Palais, included a number of international galleries and publishers who, along with artists from all over the globe, featured works by Japanese photographers such as Abe Jun, Moriyama Daido, Narahashi Asako, Ishiuchi Miyako, Takanashi Yutaka, Suda Issei or Araki Nobuyoshi. However, with regard to these all too familiar names, those who were looking for photographers yet to be discovered by a larger audience were largely disappointed. One exception can fortunately be highlighted here - the latest publication by Roland Angst of only photography dedicated to the oeuvre of Yanagisawa Shin (b. 1936, Mukojima, Tokyo; d. 2008, Tokyo). Grand Palais - Venue of the Paris Photo 2013. Interestingly enough, the publishers's stands were given a very prominent (even impossible to miss) position within the Grand Palais' exhibition space; opposite the entrance, in front of the two massive staircases leading to the second floor auditorium and additional exhibition spaces. Circling around the four tables of the Paris Photo-Aperture Foundation Photobook Awards, one could find more than 20 publishers including e.g. superlabo, Steidl, Taschen, Harper's Books or AKAAKA. 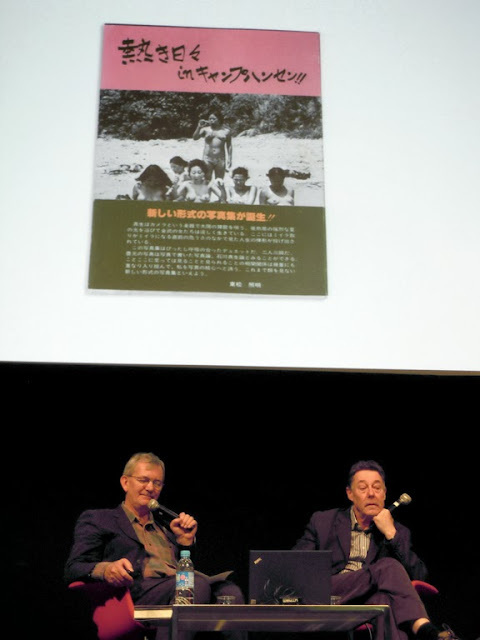 While it was certainly exciting to get an overview of some of the latest Japanese monographic publications, the money demanded for the many displayed older titles dating back to the 1940s, inevitably dampened one's enthusiasm quite a bit. section (center below), Open Book exhibition (far left). This year's Open Book exhibition, placed nearby the publishers' stands, was curated by the notorious Parr/Badger duo, well-known for their collective work on the The Photobook. A History series. 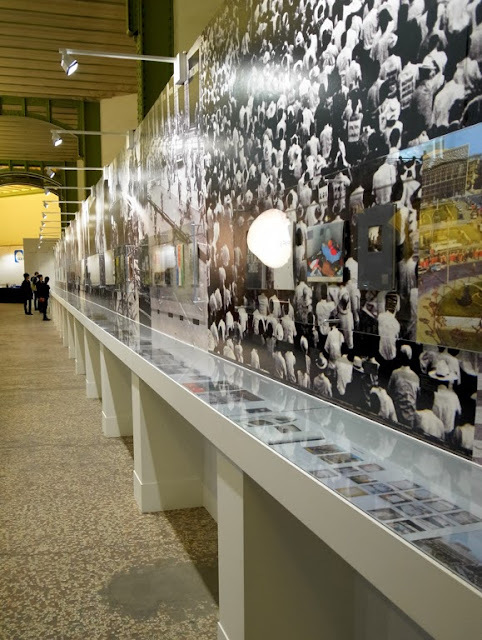 Based on the chapter entitled "protest" of their upcoming third volume, the exhibition featured 57 books, published between 1956 and 2013, each addressing war and other social injustices as well as the counter-demonstrations and protests that arose from them in a variety of unique photographic styles and book editing techniques. Apart from already prominent Japanese titles such as Kitai Kazuo's Sanrizuka (Nora-Sha, 1971) and Tōmatsu Shōmei's Okinawa, Okinawa, Okinawa (Shaken, 1969), about half a dozen rare publications related e.g. to the Zenkyōtō (Japanese Universities' Student Protest) or another previously unknown to me 1972 title made by the All Japan Students' Photo Association about the atomic annihilation of Hiroshima were presented as originals on the wall with additional written comments by Gerry Badger in the glass cases below. texts written by G. Badger - The Protest Photobook 1956-2013. Considering this, "Good grief, the shopping list continues! ", is what some might have secretly thought when Martin Paar and Gerry Badger gave yet another insight into their by now third volume of the very successful series The Photobook. A History before a full audience on Friday the 15th. Divided into nine chapters named "propaganda", "protest", "desire", "conflict", "place", "society", "identity", "memory", "the medium itself", the upcoming volume is according to Badger "about the personalization of photography". He justified this idea by quoting a statement made by John Szarkowski in 1967 about the American photographers Diane Arbus, Lee Friedlander and Garry Winogrand on occasion of the MoMA exhibition New Documents: "Their aim has not been to reform life but to know it […]." As a result of the acknowledgement of Szarkowski's statement Badger emphasized that more than ever, "it means that we are recognizing that photography is the point of view of the photographer." The three Japanese books presented in the talk were: Kitai Kazuo's Teikō // Resistance (Mirai-Sha, 1965), Ishikawa Mao's Nekki Hibi in Kyanpu Hansen // Hot Days in Camp Hansen (Aaman Shuppan, 1982) and Ishikawa Bunyō's BETONAMU Kaihō Sensō // VIETNAM Liberation War (Undō Kyōryokusha Han, 1977).